Natural stone can be a magnificent way to cover interior walls. However beautiful, it’s also expensive and difficult to maintain – which is where stone-like wallpapers enter the picture. New printing technologies have really taken wallpaper to the next level. And nowhere is that more apparent than in faux stone patterns. Rich in detail and color, these wallpapers can transform a single wall or an entire room. When choosing your faux stone wallpaper, pay attention to the shades used. While stone is a natural material, wallpapers can reflect a variety of types of stone, from white stone wallpaper to darker slates and beyond. 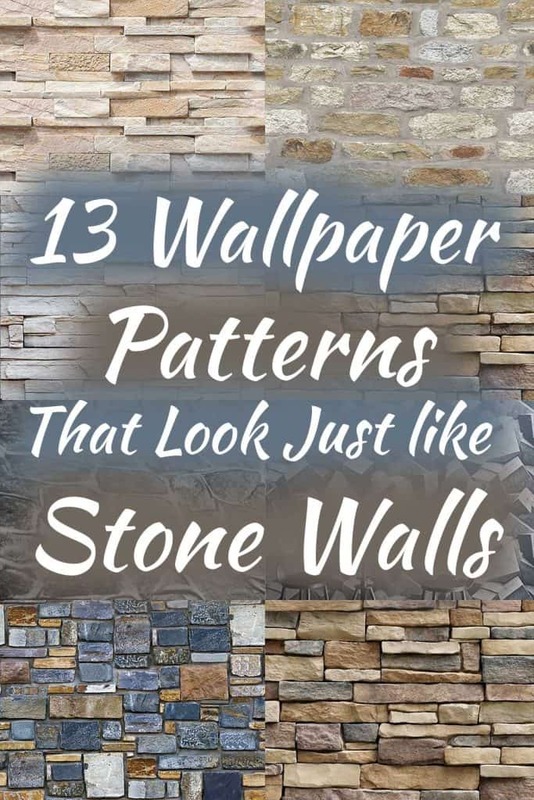 In this curated collection of 13 stone wallpapers, we’ve got you covered with a multitude of colors, shades and exquisite patterns. For those of you looking for those urban grunge vibes for a contemporary feel to their interiors, look no further than this faux stone wallpaper. 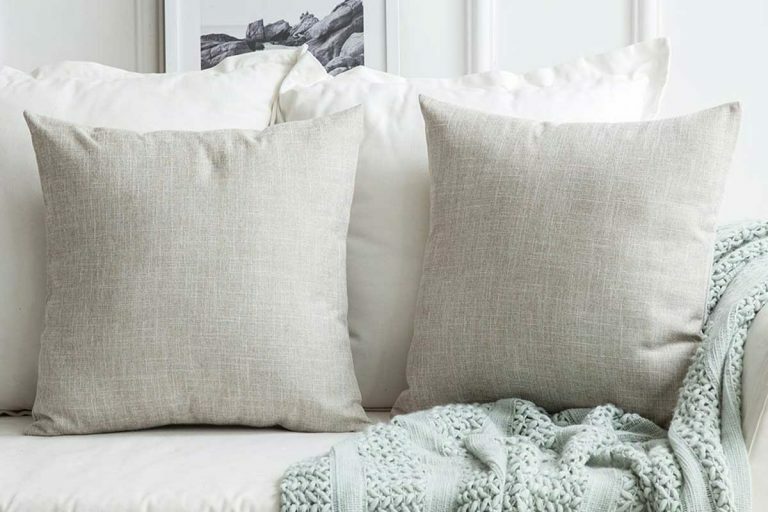 It has a realistic design that adds a unique layer of texture to your space. This rugged stone wallpaper comes with soft hues and the rough design that is typical of most stonewalls. The artisan was careful enough to make use of neutral color palettes for best results. This product has all hallmarks of modern wallpaper and is fully removable, thus allowing you to experiment with it endlessly until you find the room with the best fit. This wallpaper keeps things brutally real. 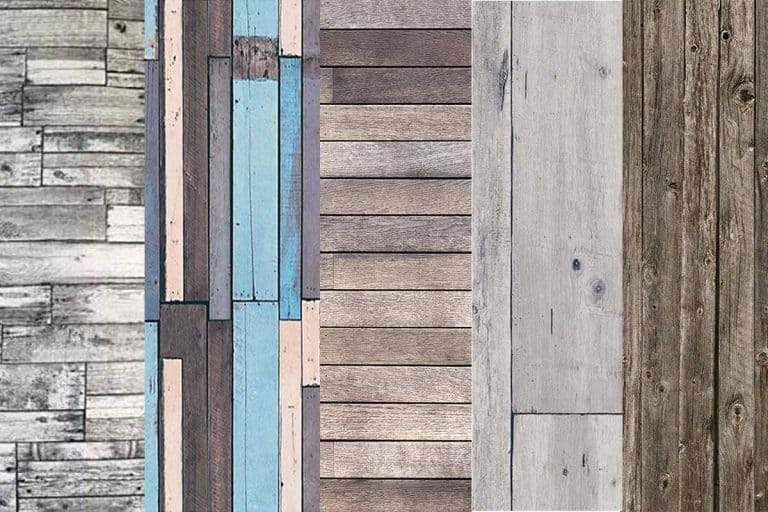 It also boasts realistic repeat patterns of the rustic wall design that will overhaul your space and add a touch of personality that wouldn’t be possible with any other design. The pattern repeats itself every 53 centimeters – imagine this beautiful design repeating itself to transform your space. This neutral color palette should match any interior design ideas or color schemes that you have, and is bound to look brilliant in any room. If you appreciate rustic creativity, then you wouldn’t go wrong with this wallpaper. It has a distressed color palette that would make an ideal choice if you want your interior décor to have an eye-catching and unique visual appeal. The grunge effect would add more flair to any accessories in your room including bold furniture, especially retro and vintage items. Think of this wallpaper as the one-stop solution to make your space look mysterious and engaging. The rustic render would fit your kitchen and bedroom if you’re a fan of unconventional designs. This stone wallpaper mural is a refreshing take on contemporary interior décor that will look perfect on your wall. The cool brown tones emphasize the stunning detail of each brick on the wall. We feel this wallpaper will look fantastic on kitchens, owing to its neutral color palette. The best part about this wallpaper is that it is fully removable and can be applied to any smooth surface. It is made using environmentally friendly materials that are easy to remove and apply. Get this feature-rich wallpaper here. Bring real character and depth to your interior décor with this wallpaper. It depicts a beautiful stone that will add a layer of textured definition that should overhaul your feature wall. The neutral color palette should go well with most design ideas and color palettes. The subtle use of shadows mimics an optical illusion that will surprise you every time you step into your room. Besides its artistic appeal, the wallpaper is relatively simple to install. It requires a touch of glue on the back to enable you to secure it on the wall. Make sure to apply this wallpaper on smooth, clean, and flat surfaces for the best results possible. The wallpaper fabric used is designed with ease of use and longevity in mind, perfect for use with babies and children. Click here to buy this product here. This stone wallpaper is brilliantly done by the artisan to bring an eclectic urban decayed feeling to your room. The grey concrete design has a subtle effect on your interior style, making you feel right at home. This rustic wallpaper would complement most rooms, including living rooms, dining rooms, and kitchens. It is versatile enough to impress people with different tastes, including you! The wallpaper itself is relatively simple to install. It is fully removable, which gives you the ability to experiment with the wallpaper until you find the design that is just right. Click here if you love this faux stone wallpaper. This 3D wallpaper is a refreshing take on bricks and stones that will visually be striking for both your guests and you. It reflects taste in detail, creativity, and art adding texture and depth to your living room with tons of personality and character. The faux 3D stone pattern repeats itself subtly, bringing out the colorful elements of your home décor’s furnishings and other design elements. This wallpaper is relatively simple to install and remove, and it gives you the ability to compare compatibility with different walls and pick the one that best fits your purpose. This is another example of visually striking wallpaper that flaunts subtle blends of color, reminding us of the calming and relaxing effect of stones. This wall mural can serve as the perfect backdrop for minimal colors and modern décor. It adds rich layers that carry the ideal fusion of colors to project a peaceful image of the rustic great outdoors that dominated the 20th century. Snowfoller is a well-known brand in the industry, known for feature-rich products that come with all the bells and whistles, including of course, being fully removable. You don’t have to worry about incompatibility with your walls. The wallpaper itself is free of toxic elements, making it safe for family and friends. Get this neutral colored stone wallpaper by clicking here. Set a classic and rugged tone in your home with the faux stone wallpaper that has a vibrant appearance with rough patches and colors of peeling paint. The industrial brick mural has a naturally aged look that should work well with most home design ideas, including wooden furnishings and earth-toned décor. This wallpaper is filled with color, details, and personality, helping create a cozy atmosphere in your bedroom, living room, and study area. 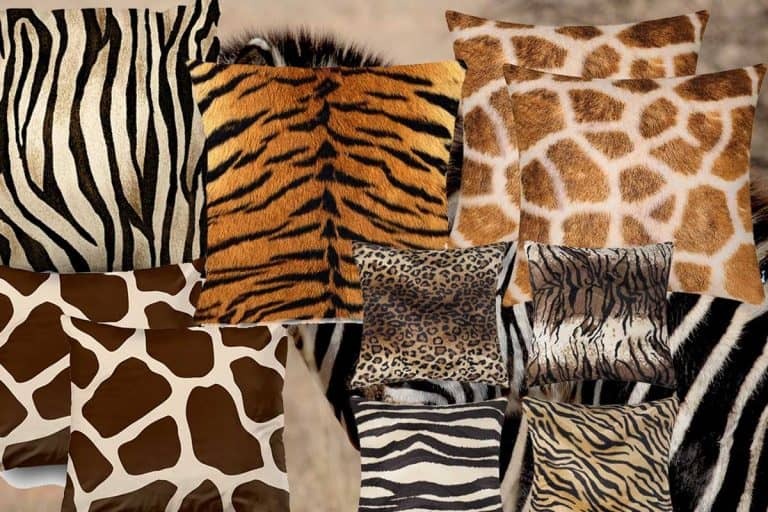 The wallpaper is available in various sizes, so make sure to do your homework before bulk ordering. Murwall, the manufacturer behind this wallpaper, is a well-renowned name in the textile niche, and their wallpapers are the most feature-rich products we’ve ever seen. This includes being non-flammable, UV ray resistant, antibacterial, and breathable. This wallpaper is definitely recommended! If you are looking for a stone mural to spruce up your interior décor with much-needed definition and texture, then this wallpaper might just do the job. It brings you an exposed stone that is wonderfully aged, with all the texture that are a hallmark of rugged and rustic stones. This wallpaper will look great in most living rooms, especially if there’s a fireplace nearby. In addition, this product is fully waterproof. If outdoor dirt and smudges end up creating a dirty outlook on the wallpaper, then simply wipe it away with a moist towel. You won’t have to worry about damaging the fabric or fading out the ink. The wallpaper itself is environmentally friendly and actively works against bacterial growth. Add the industrial grunge vibes into your home and overhaul the interior décor with minimal effort using this spectacular rustic wallpaper by Samooi. The stones are randomly arranged and given subtle details that will help your room stand out. This is a peel-and-stick wallpaper, which means it’s fully removable to help you decorate different rooms and see which area is most compatible with the print. The wallpaper size comes in 45 cm by 45 cm, so make sure to bulk order accordingly by measuring your wall’s dimensions. This wallpaper showcases how visually appealing neutrally colored stones look. The splash of grey color helps the smooth textures blend in with most interior decors, creating a stunning effect which is perfect for those who want to create a focal point in their home. This atmospheric wallpaper depicts wonderfully natural grey hues that mimic old, rustic stonework. If you want to bring this kind of ambiance in your room, then look no further than the vintage stone wallpaper by BUTIFU. For those of you looking to style their space with creative flair, this industrial rustic wallpaper will definitely impress. It is inspired by giant blocks of gray stones that are cut out in random shapes using rugged brush stones to create a natural looking design. The artisan went wild with their imagination with this abstract. The neutral gray color palette should work well with various rooms including a child’s nursery. This product by Duobe is easy to install and contains some extra features such as being moisture proof, waterproof, and even having sound insulation properties. It is the perfect choice for DIY home decoration. The wallpaper is available in five different sizes, so make sure to check compatibility with your room’s dimensions before bulk ordering. Click here to buy learn more about this wallpaper. We hope you find inspiration in this collection of faux stone walllpapers. And if you’re looking for a natural-looking wallpaper and willing to explore beyond stone, try our post about faux brick wallpaper too.